It's such a pretty shade! Hope it's heavy enough to combat this winter! I'm in love with that color green. Where did you find the coat? 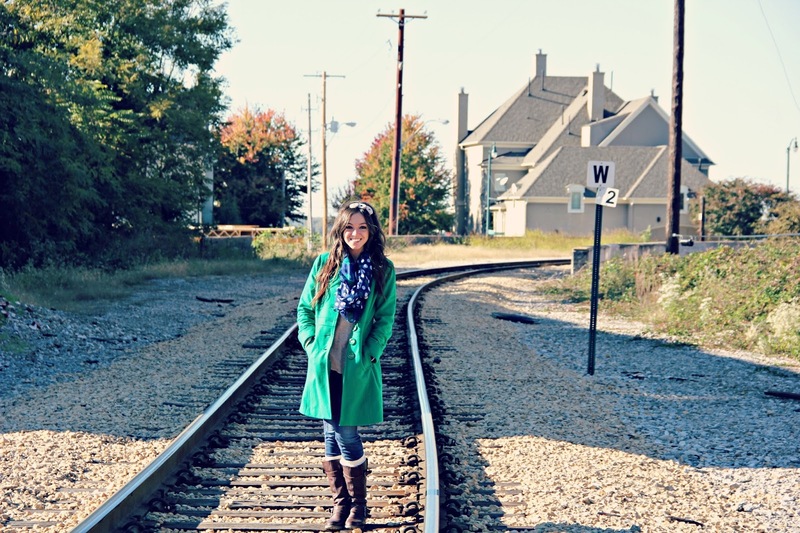 That coat is the perfect color green, hopefully it keeps you warm this winter!! I hate the cold too, not looking forward to that at all! Love the green coat, really looks lovely! !Also love where you shot your pics! Love that coat! It's a great shade. Are you wearing boot cuffs or socks? I like the look. Very cute cold weather look. I love it because it means plaid and BOOTS! This is the cutest outfit! That coat is so fun, and it looks fabulous with the navy scarf. Love the coat did you buy it local or online? I'm still on the lookout for a coat, so I'm literally just layering all of my sweaters on top of each other all at once right now :P I love the buttons on that one though! But unfortunately, it's probably not thick enough to get me through any Berlin winters..